The suspension system affects the steering, braking capacity and stability of your vehicle, so, to avoid risks is very important to review periodically and replace any worn parts. 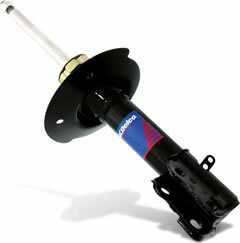 ACDelco has shocks absorbers that ensure excellent control and to suit all styles and budgets. You should also review from time to time other chassis components, such as the ends of the rods, control arms and ball joints.